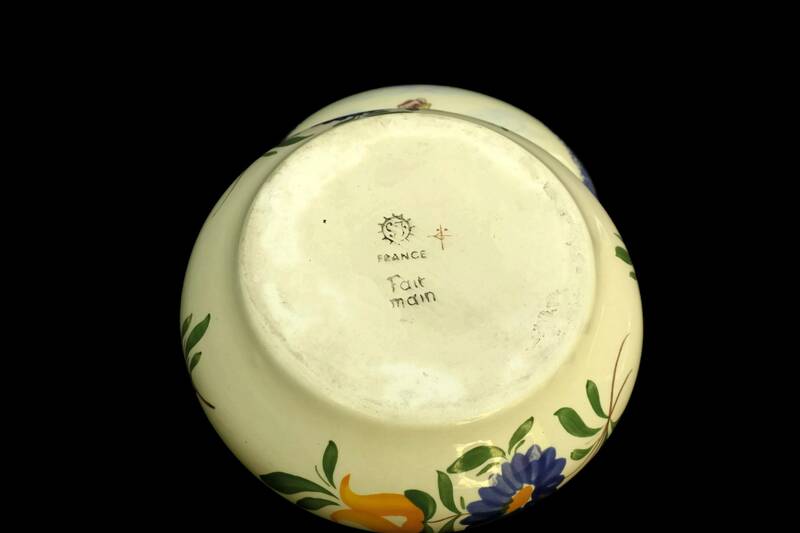 A charming vintage Desvres faience trinket dish created by the renowned French pottery company Gabriel Fourmaintraux. 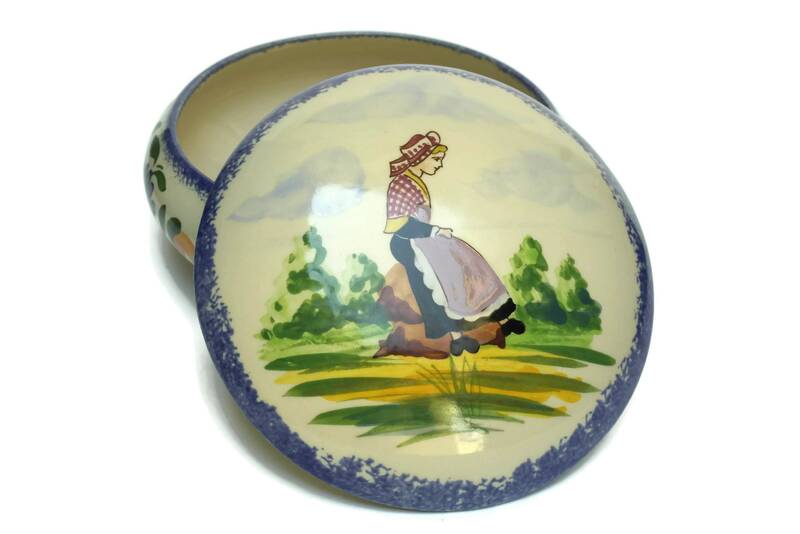 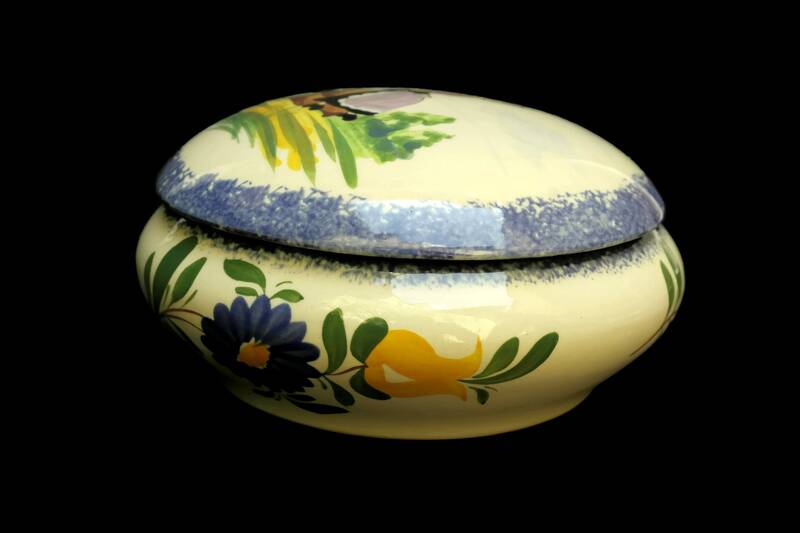 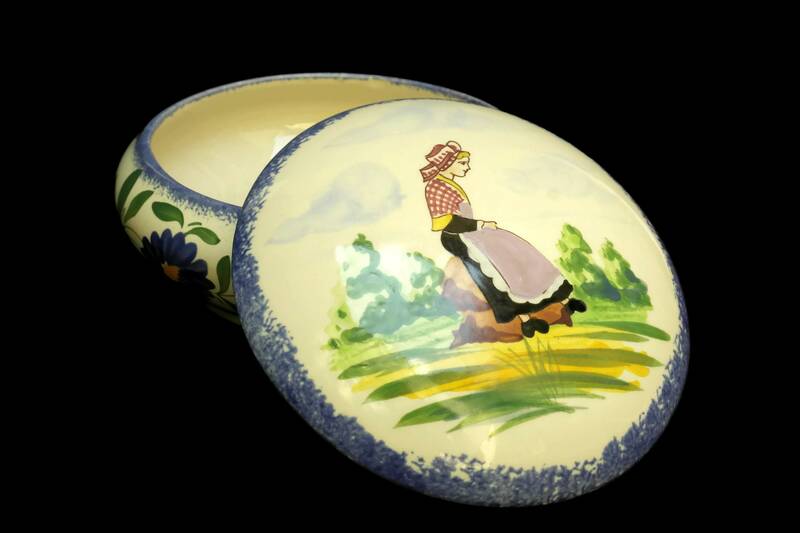 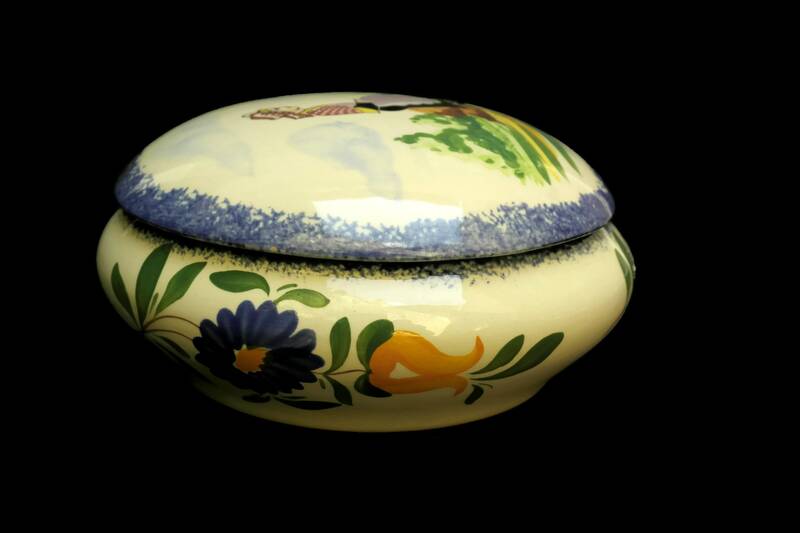 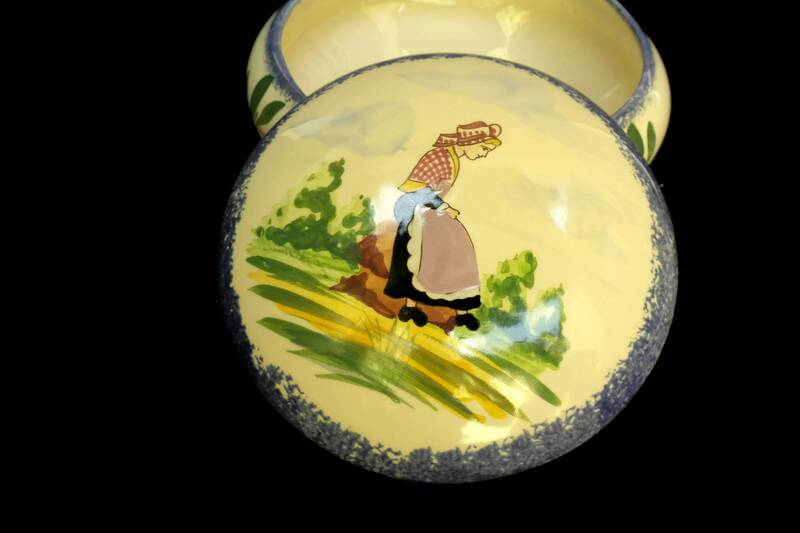 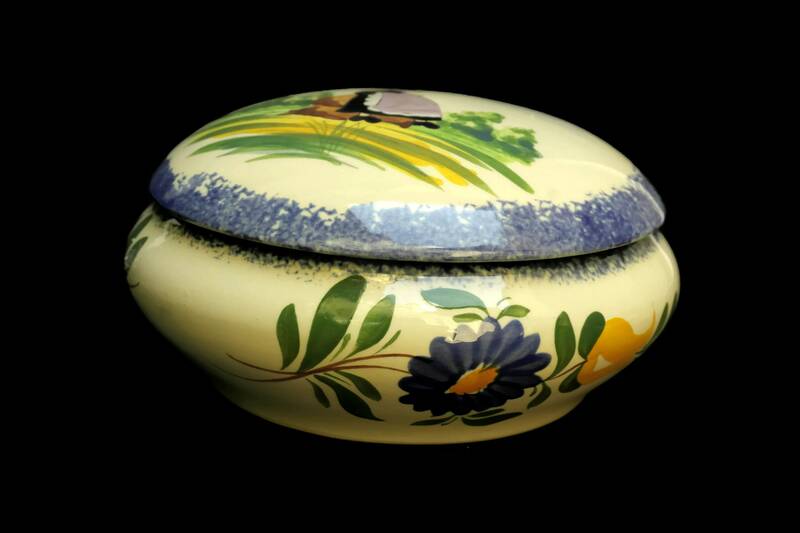 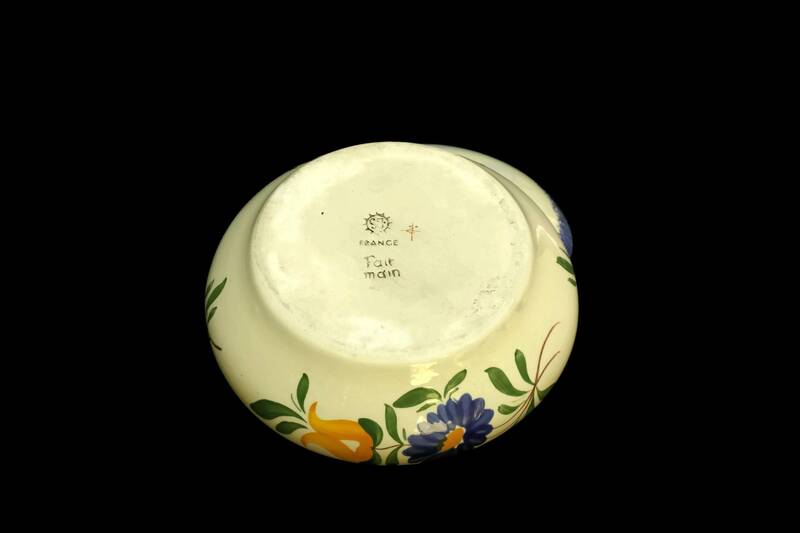 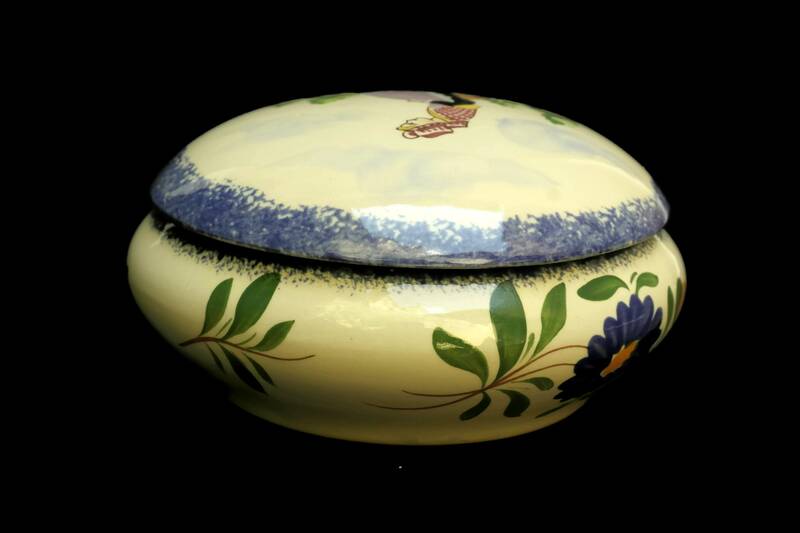 The large round ceramic jewellery dish features a domed lid and has been decorated with traditional hand painted flower patterns and the portrait of a Breton woman in the French countryside. 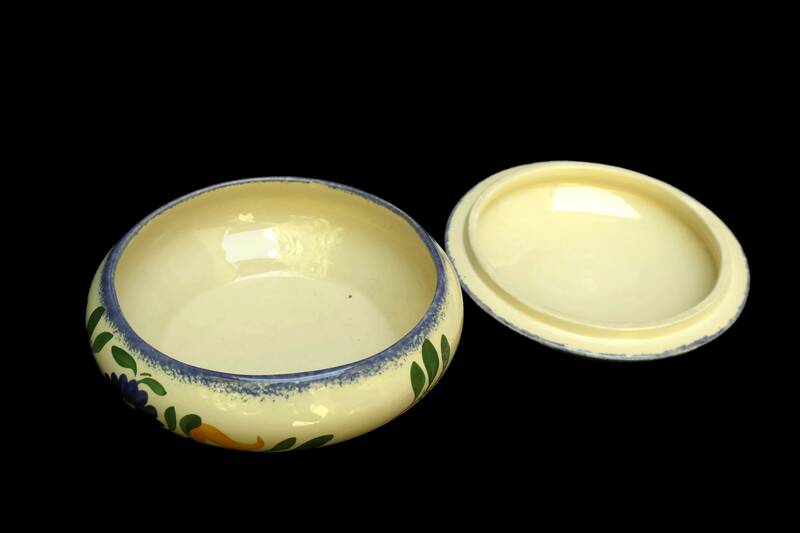 The Desvres faience trinket dish is in very good condition.